Will Drink For Travel is a travel website that encompasses travel information, spirits, and cocktails from around the world and other information related to both topics. The site is geared toward people of all ages who love living life, trying new things and have a sense of adventure. A Media Kit can be furnished upon request. 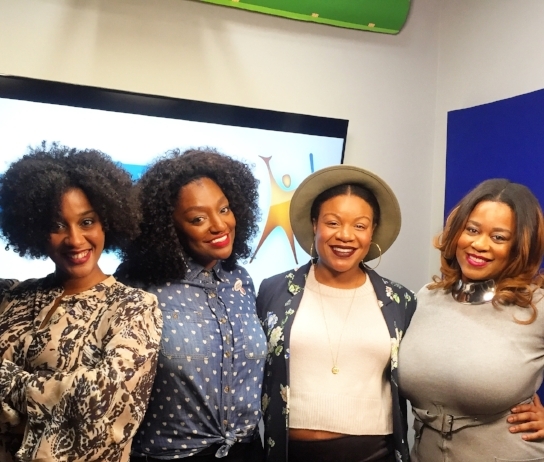 Ashlee Tuck appeared on theGrio's Facebook Live panel discussing the 'Black Travel Movement'. Watch the video. Ashlee Tuck shares her dare-devil experience of hanging from Victoria Falls in Zambia, and other adventures during a recent trip to Africa on Great Day Washington. Watch the video. Ashlee Tuck talks to Great Day Washington co-hosts Markette Sheppard and Chris Leary about low-cost airfare from BWI to Martinique and traditional Martinican cocktails. Watch the video. Matador Network: "Why Don't More Black Americans Want to Visit Africa?" Swanky Retreats, Fall 2016 Issue: "A Letter From Zambia"
The Guy Who Flies: "Interview with Travel Blogger Ashlee Tuck of Will Drink For Travel"
McCool Travel: "5 Minutes with Ashlee Tuck of Will Drink For Travel"
CocoaFab: "Cocktail Hour: Go Bar Hopping with DC’s Ashlee Tuck"
Cocotique: "Cocoblogger of the Month: Ashlee Tuck"
The Globe Getter: "Ashlee Tuck of Will Drink For Travel"